Shimla which is known as ‘Queen of hill stations’ is the capital city of Himachal Pradesh and one of the most visited place for tourism. It is situated at high altitude of 2200m as it is well known for the beautiful hill stations. There are many places for visit as the Ridge, Jakhoo Tample, Mall road, Christ Church, Indian Institute of Advanced Study, Summer hills, Kufri, Annadale, The Shimla State Museum, Chail, Solan, Daranghati Sanctuary, Naldehra and Shaily Peak and Arki Fort etc. 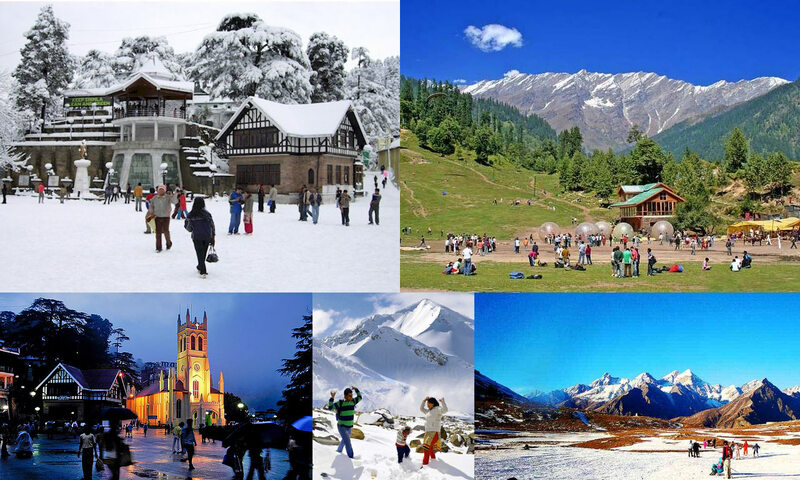 These are most tourist places to visit in Shimla. One of the best route is toy train route from kalka to Shimla passes through beautiful valleys and hills. Here are some description for the places one must visit. The Ridge: It is situated at the center of the Shimla. It is famous for nature and photography. It is a dream destination for the view of snow-clad mountains. It is a open space which also connect mall road and scandal point. Mall Road: It is famous for shopping, cuisine, restaurants, cafes, photography. It attracts tourists to see Shimla from here. Jakhoo Temple: It is situated 2km away from Shimla between the Jakhoo hills which is at the very high peak of the height of 8000ft. It has a large statue of Lord Hanuman which is 108 feet tall. It is famous for natural beauty, photography and serenity. It is famous attraction for the tourists. Kufri: Kufri is situated 17km away from the Shimla at the altitude of 2510 meters. This hill station delights adventures and nature lover. This hill station is full of adventure sports like skiing and more activities. There is a Kufri Fun World, an amusement park. Institute of Advance Studies: It is also called Rashtrapati Bhawan. It is located on the top of the observatory hill. This building was constructed during the british region and established in the year 1965 by Dr. Radhakrishanan. This is famous for Architecture, History, Science.